This countryside little town derives its name from the Greek word for city, and is the shortened version of Polis Chrysohou which translated mean 'the City of the Golden Land' thus named for the fertile land surrounding the river Chrysochou. There are no large hotels so travellers can step into a world away from the usual tourist attractions and enjoy the peace and tranquillity of this small but attractive town. The main feature of Polis has to be the village square boasting cobbled streets, souvenir shops, banks, jewellers, chemists and bars where thirsty travellers can sample locally made wines, including Commandaria a sweet dessert wine favoured by 'Richard the Lion Heart' and used as a holy communion wine. Traditional restaurants surrounding the square offer tantalizing home baked cuisine. Ice cream parlours, tiny coffee shops are a few of the delights on offer in Polis. The local Museum of Marion - Arsinoe at Polis opened its doors to the public in 1998.It was erected by the Government of Cyprus and the generous financial support of Mr. Nicos Shacolas. The Museum consists of three exhibition spaces - Rooms I and II and the Atrium. Objects in Room I, (which is named after Mr. Nicos Shacolas), derive from an extensive area around Polis and are chronologically arranged, so as to portray its historical development from the Neolithic and Chalcolithic to the Medieval periods. The church of Agios Andronikos in Polis Chrysochous (Paphos district), is an aisleless, barrel- vaulted church of small dimensions. The church can be securely dated to the 16th century, since the very important wall-paintings on its walls and vaults belong to the Venetian period (1489-1570). In 1997 the interior of the church was excavated and the remains of four floors, all belonging to different periods, were uncovered and preserved so that the visitor can acknowledge the monument's various architectural phases. An extremely old olive tree lives close to the museum for those interested in such floral phenomena. The trunk of the tree is almost split in two and it is still producing olives after 600 years. Polis Cultural Centre opened its doors to the public on the 15 October 2001. A modern day building with a theatre stage and a seating area with a 400 seat capacity, the Cultural centre also houses an exhibition area that can host up to 250 people. Cyprus's position is seen as a major attraction for regional travelers being the closest European destination to the Middle East. The boat trips leaving from the nearby town of Latchi are really enjoyable. The boat trips generally last a day travelling along the north coast of the Akamas Peninsula. At lunchtime the boat is moored in a turquoise cove where you are free to snorkel or relax on the boat and enjoy the excellent BBQ lunch cooked fresh. The scenery in this area is breathtaking as it is a national park and there are no big developments spoiling the view. Legend has it that the goddess Aphrodite emerged from the sea, just as Cyprus itself did. Don't miss Aphrodite's Bath, a picturesque rock pool and waterfall where the goddess is believed to have bathed, andoozes magic and mystery. Self drive guided quad safaris in the Akamas Peninsula. J&N organise quad safaris for groups of 10 persons maximum for discovery, half day and one day tours. All levels and all ages drivers must be over 20 years old. The fleet consists of 6 quad bikes(ATV). CAN-AM 400 cc Outlander Max. These Quads are specifically designed for two-riders. Childrens seats are available. 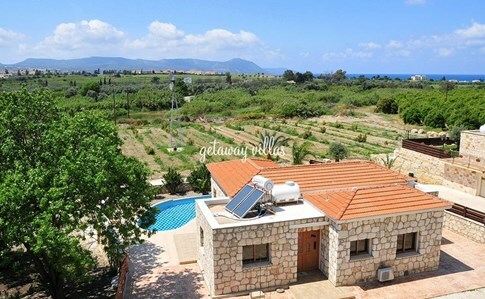 J&N are located in Prodromi village on the main road between Polis and Latchi, within 10 minutes of Aphrodite's Baths.